Diversification of farmland the farmer in order to stabilize income raises sheep on pasture and a solar panel farm on the other. Sheep are then used to graze the grass growing around the solar panels. 4k00:21Diversification of farmland the farmer in order to stabilize income raises sheep on pasture and a solar panel farm on the other. 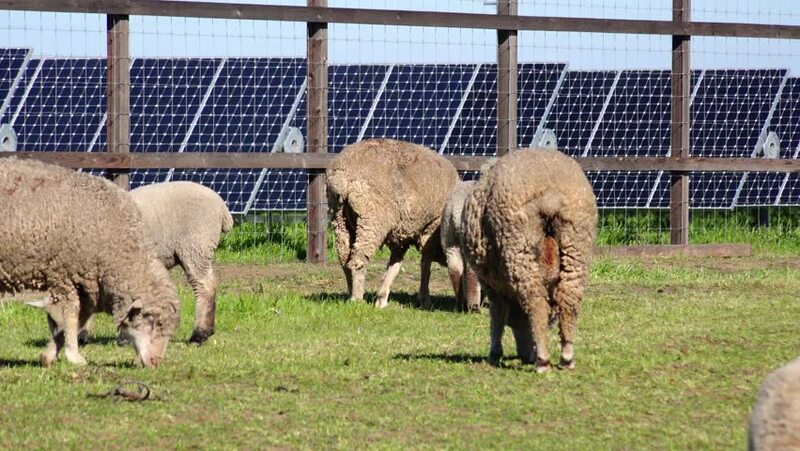 Sheep are then used to graze the grass growing around the solar panels.